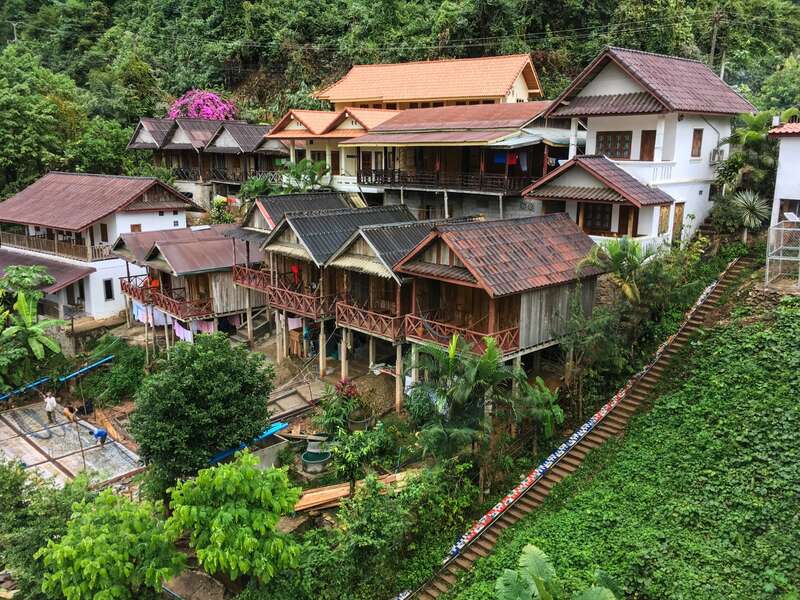 We spend four nights in Nong Khiaw, a remote and subdued jewel of the north, soaking up the fresh mountain air and easy-going vibe. 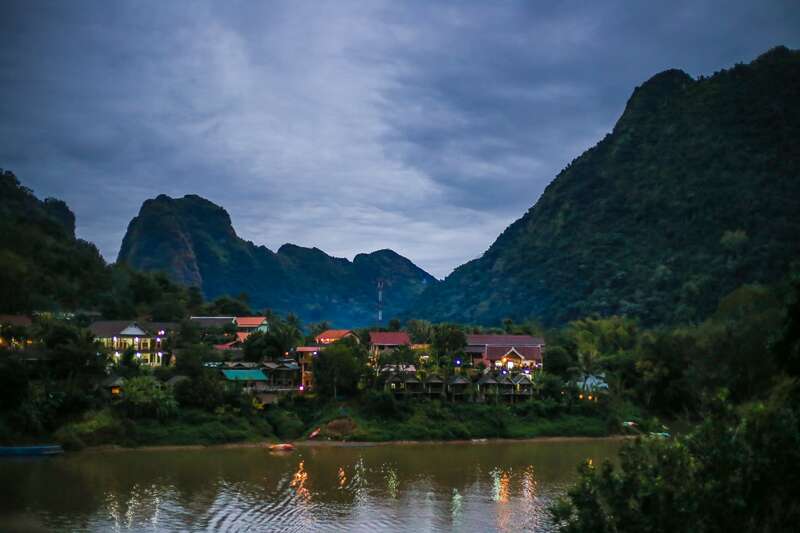 We’ve been wanting to venture to the far north of Laos, but it’s not easy to get up there for an extended weekend. 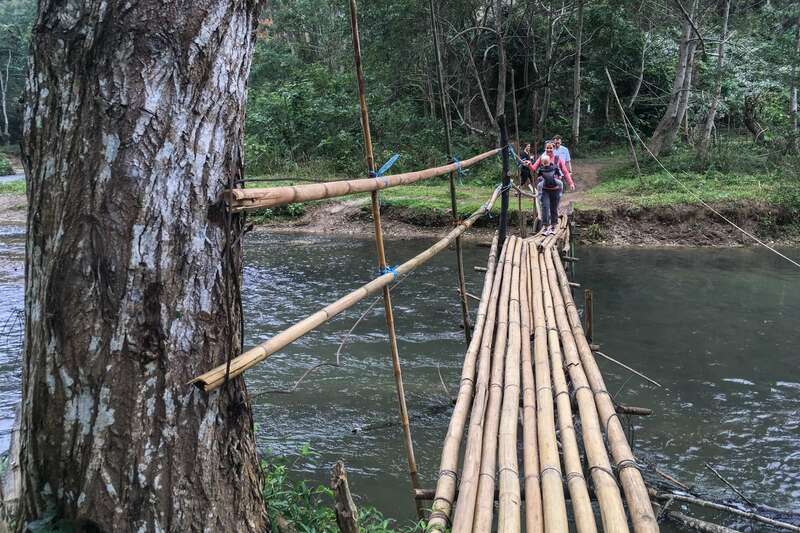 There aren’t regular flights into areas north of Luang Prabang, which means most areas have to be access by land–once you get to Luang Prabang, that is. Having friends in town who are keen on doing something like this was the perfect excuse to finally make it happen — and we’re thrilled to find ourselves up this way. 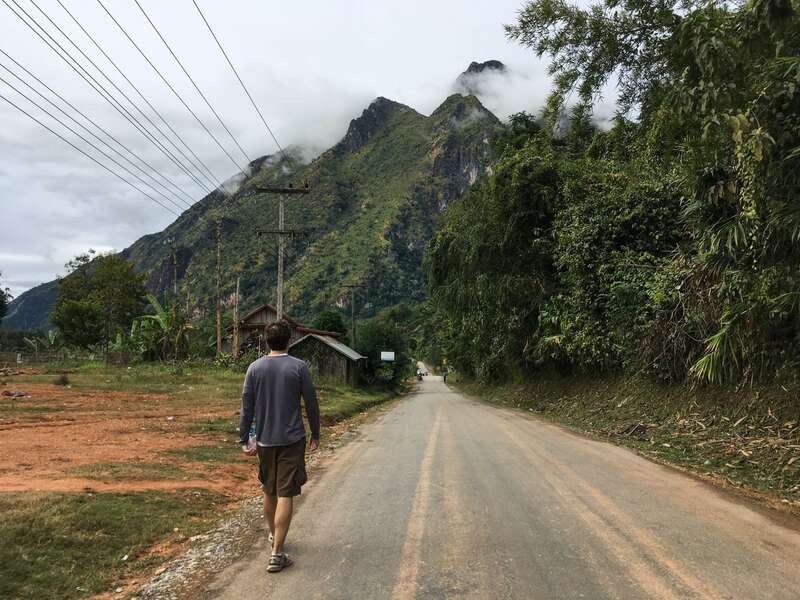 Nong Khiaw is all the little things I love about Laos rolled into one place — stunning natural landscape, friendly and low-key rural residents, low costs but all the basics covered (electricity, running water, hot water, etc.) 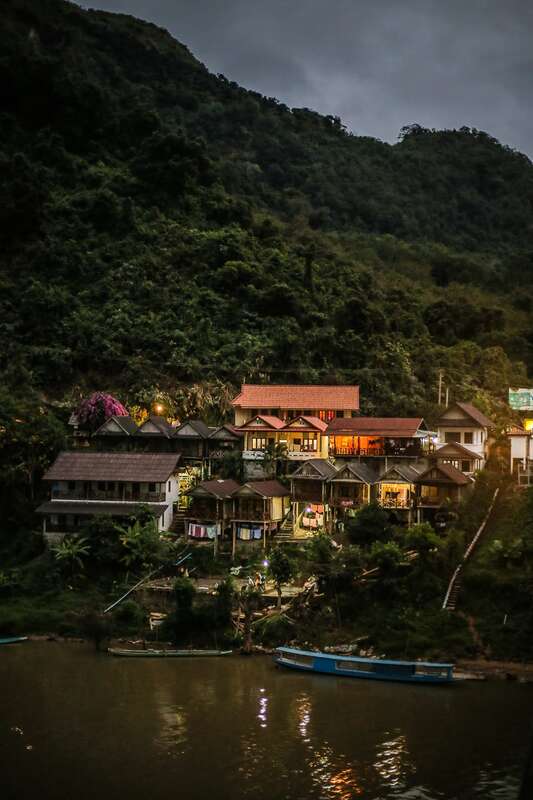 — If you’re curious, each of our riverfront bungalows ran us US$14 per night (in high season). 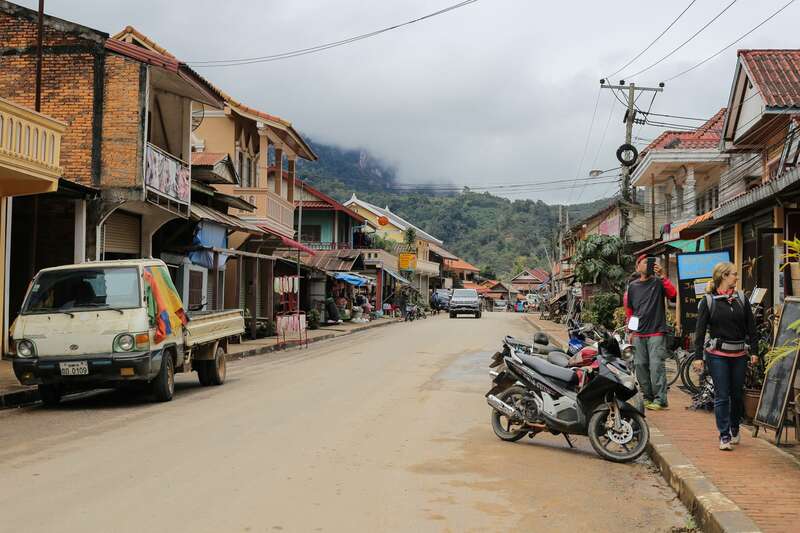 There are several small rural communities I’ve spent time in over the years that are mind-blowingly beautiful, but have few services for visitors; and many, many more places that have a lot of visitor/tourist services but not much else. 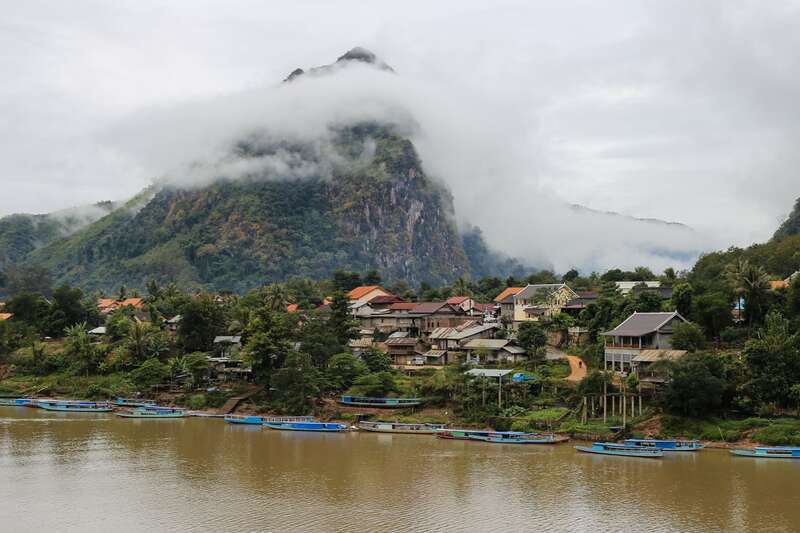 In Laos, you can have both — you may have to work for it, but not too hard. 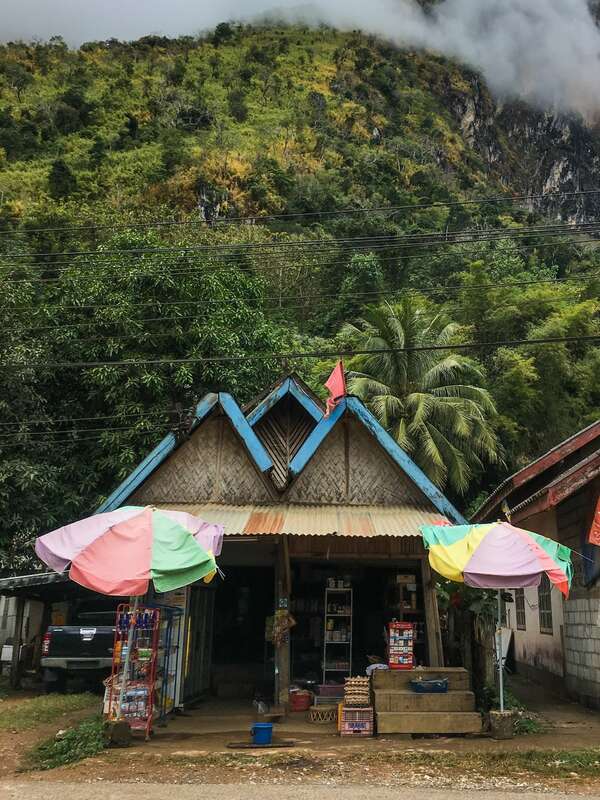 Despite the dozen or so guesthouses (and dozen or so really good restaurants and bars) in town, Nong Khiaw doesn’t get anywhere near the busloads of visitors that places like Luang Prabang or Vang Vieng get. And because it’s not really on the way to any major destination, excessive tourist numbers will likely (hopefully) never happen. 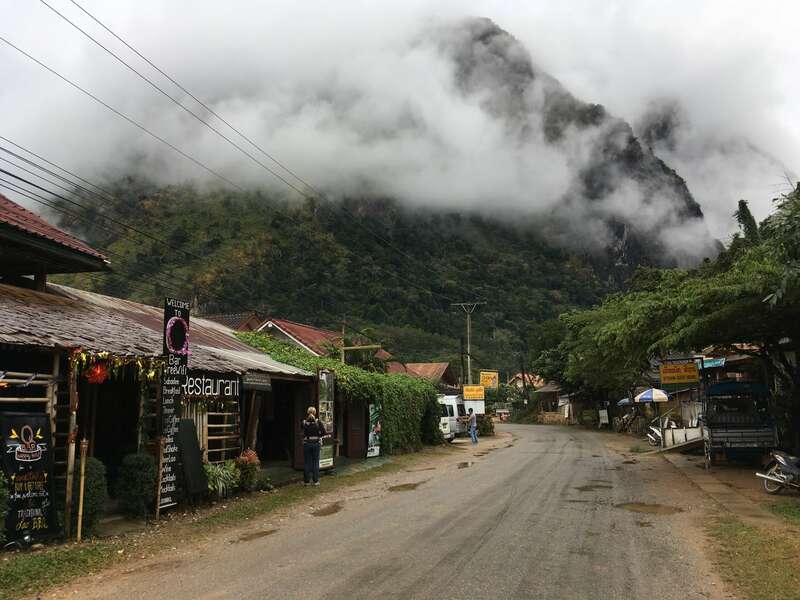 We were happy not to see a single tour bus our entire time (which is basically all you see these days in Vang Vieng), and the other foreigners ambling around the village definitely appear to be of a more low-key, intrepid, long-term budget mindset than the gap year party crowd you’ll frequently find in Thailand in comparable mountain locales. 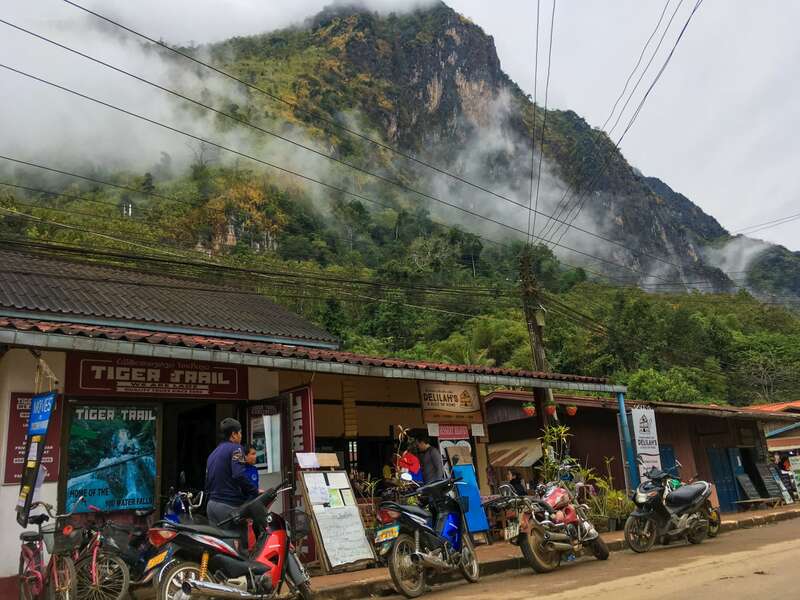 We kept finding ourselves making comparisons to Yunnan (China), Darjeeling (India), and Sapa (Vietnam), but really, Nong Khiaw is none of those. 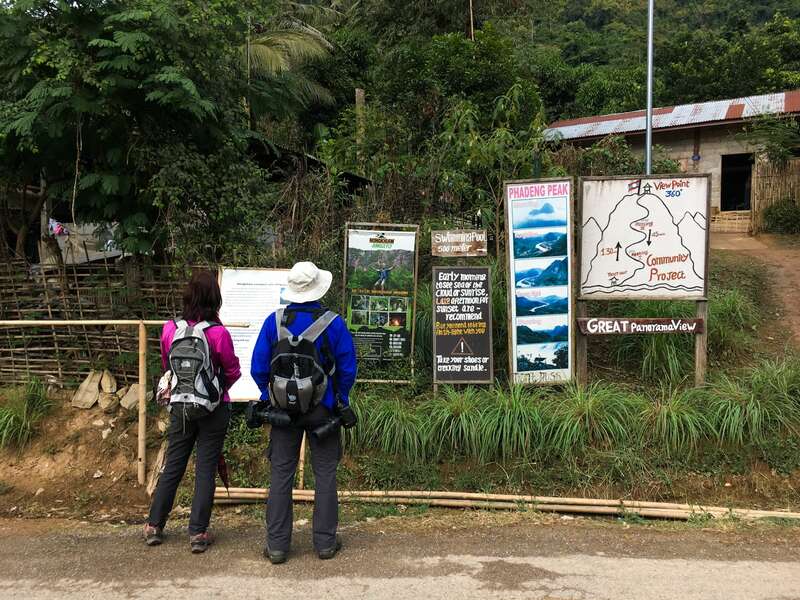 It’s completely, 100%, it’s own relaxed and evocative and stunning little corner of the globe — not too isolated and rural where everyone stares at you constantly and wants to touch the falang/gringo/mazungo, but nowhere near as trodden as the typical backpacker (or TOUR BUS) trail. 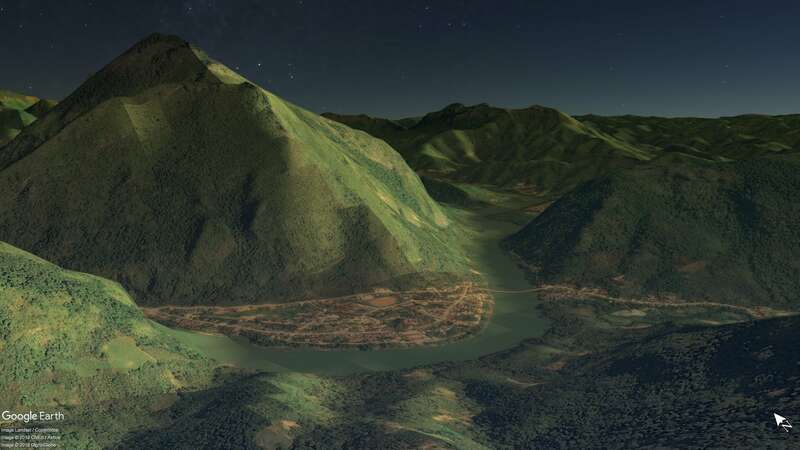 The Google Earth image above gives you an idea of the lay of the land in Nong Khiaw. 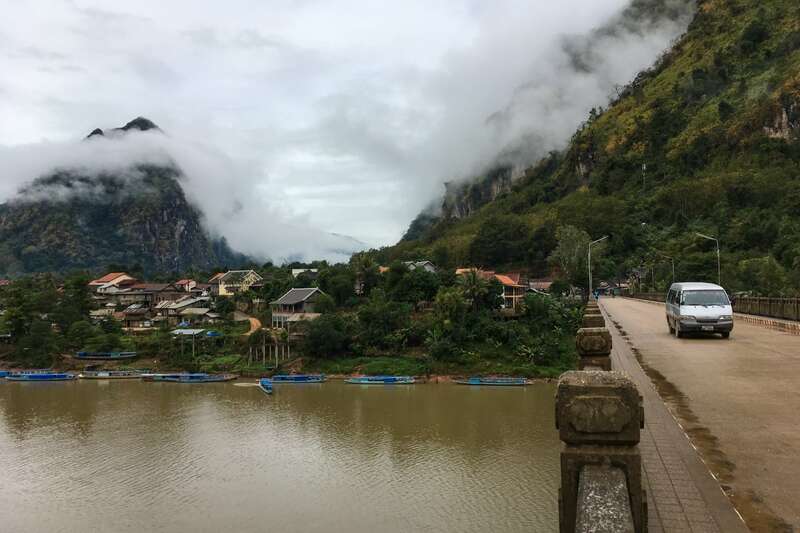 The main Ou River divides the main part of town on the left and the small backpacker enclave, Ban Sophoun, on the right, which are connected by an old bridge built by the Chinese. 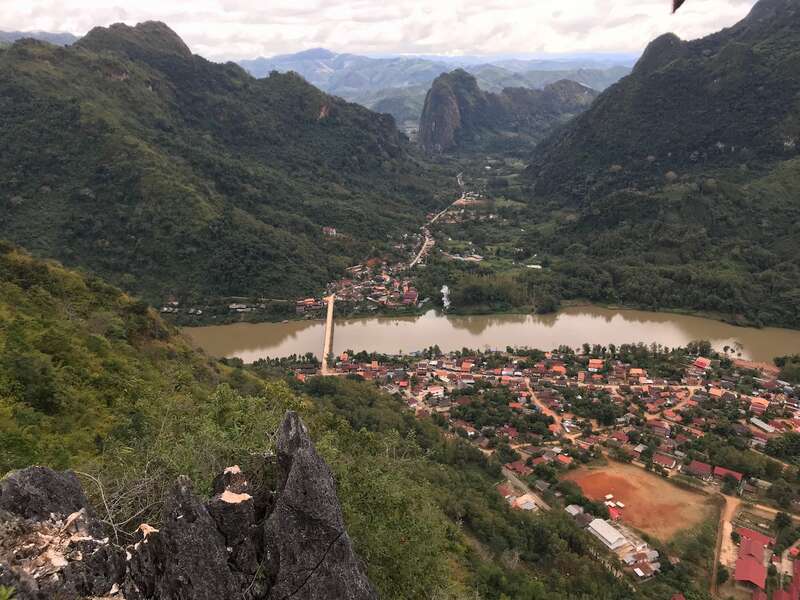 There are two viewpoint hikes, the older of the two ending high up on the cliffs of the right bank, and the newly opened #2 viewpoint hike up the cliffs behind town. 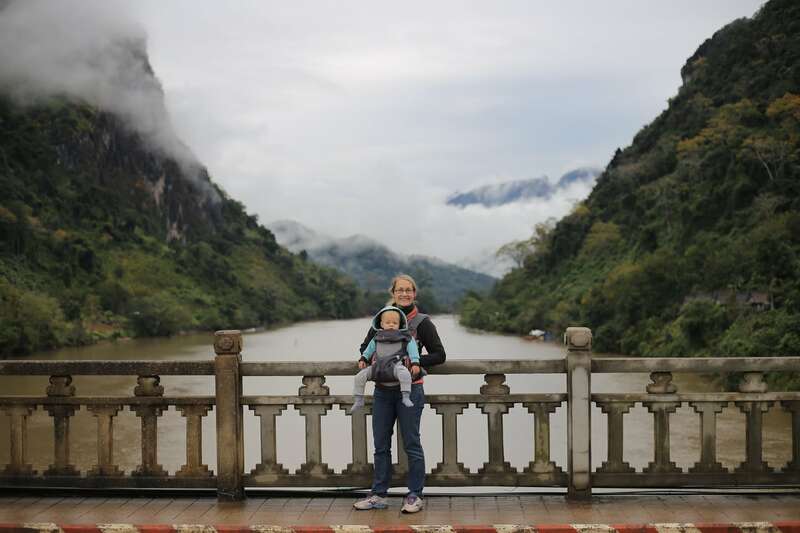 From here, the Ou River cuts north right through the heart of the limestone cliffs, providing the most dramatic cruising portion of the river. 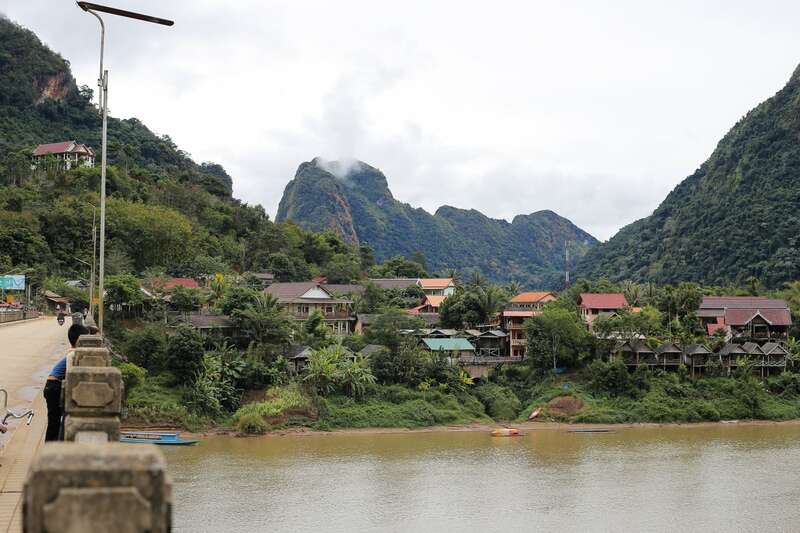 Until very recently, you were still able to access Nong Khiaw by boat from Luang Prabang. 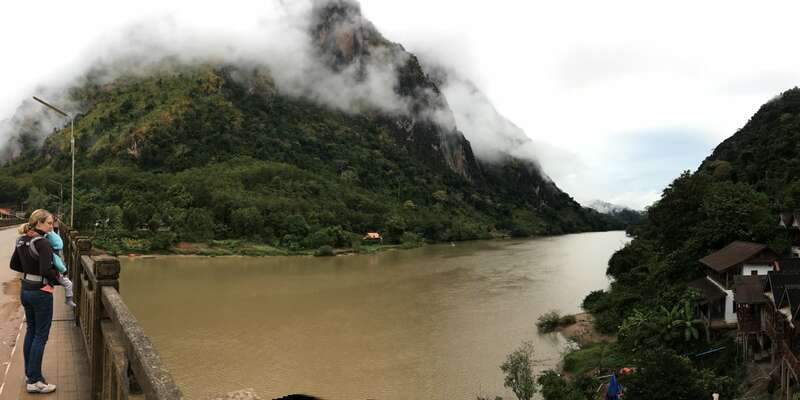 But a new hydropower project put an end to that, and the stretch between Nam Ou cave and Nong Khiaw is in the process of being dammed and flooded. 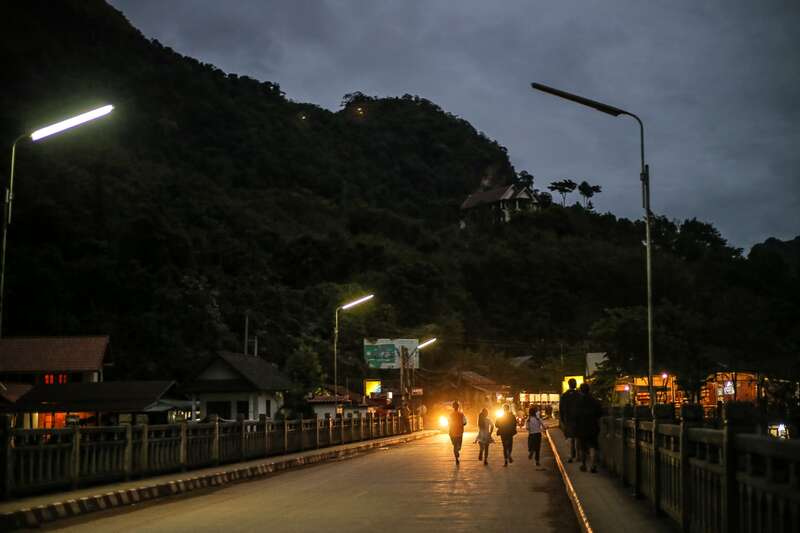 As mentioned, a fair amount of effort goes into getting here, but it’s not so cut off from civilization that nothing is accessible — tasty restaurants, well-stocked bars, and [mostly] 24-hour electricity is all for the taking — not to mention even a couple of ATMs! 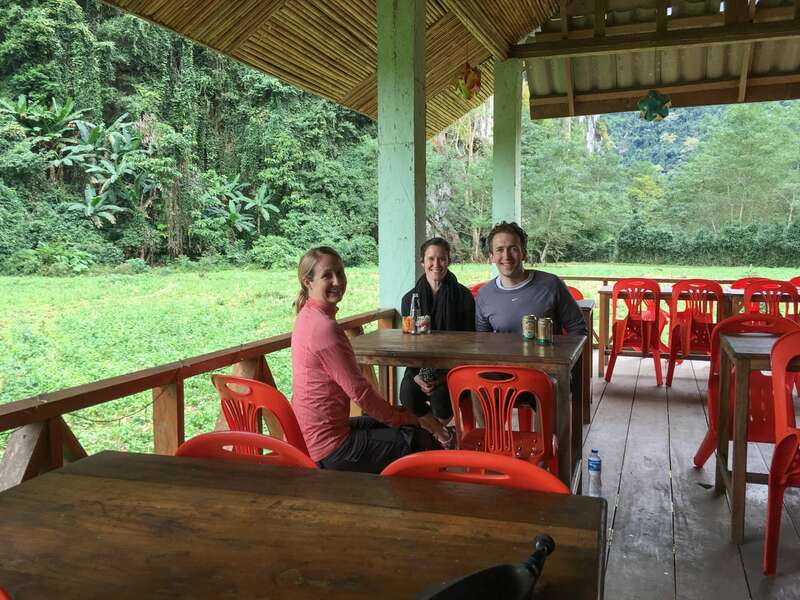 The type of person you’d think this place would appeal to is exactly who we came across, regardless of nationality. Aussie, German, Japanese, Russian — we found people from across the globe, but thankfully, no huge groups of one nationality or another. If the place resonates, and the journey seems worthwhile, then that’s the type of person who makes it here, which is fantastic. The place in town for breakfast seems to be Delilah’s, with portions and creations that will have you rolling out of the cafe. Run by a talkative and eccentric New Zealander, you’ll find things on the menu you won’t find anywhere else. There was a sort of breakfast pizza thing that we had two mornings in a row which was awesome. 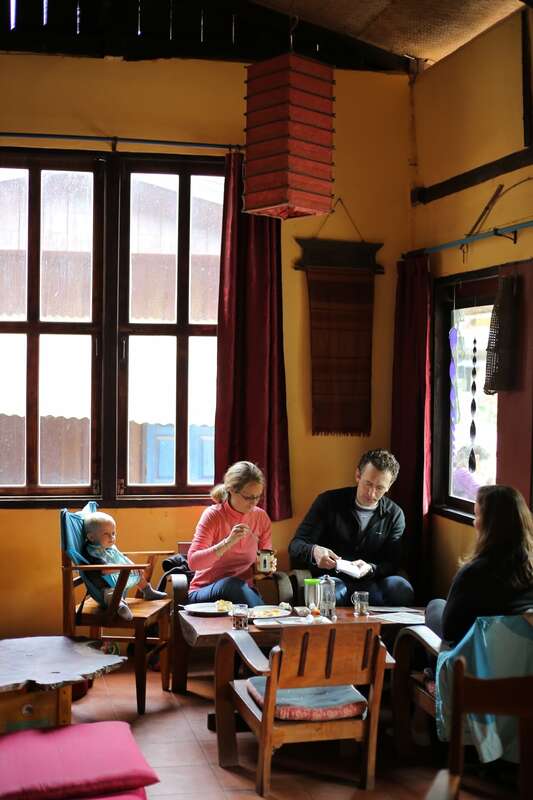 We spent the other two mornings at Sunset Bungalows, munching on tasty, filling (and a bit more budget friendly) backpacker breakfasts. 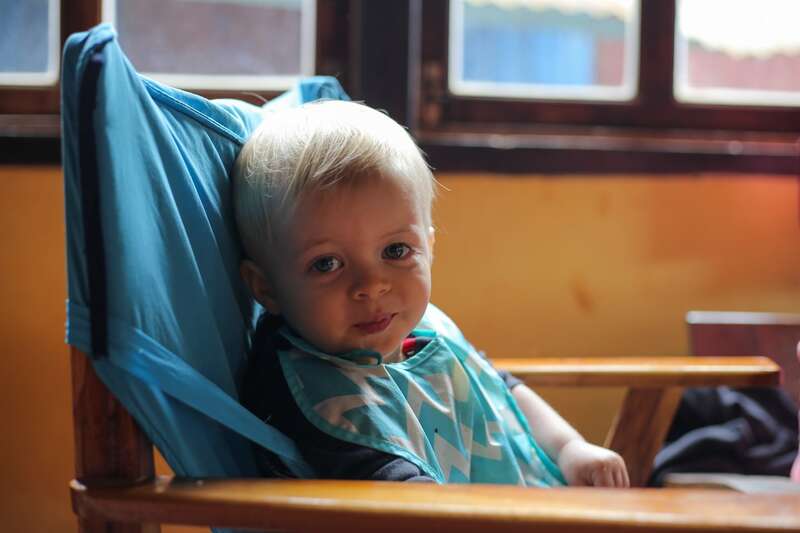 At one point, Noe even got to talk to his Grandma-ma (Great Grandma) on Skype. 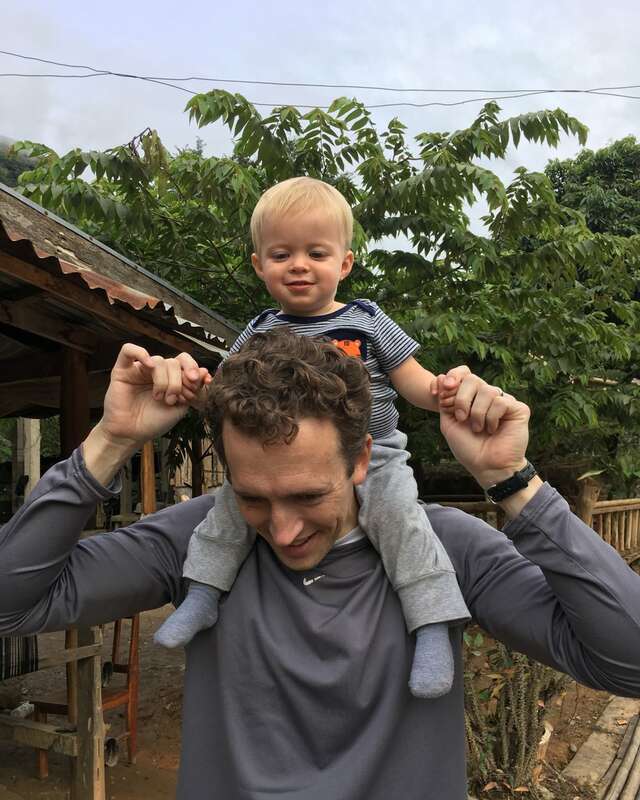 Such as odd thing having a video call with someone on the other side of the planet from an isolated mountain village that’s only had electricity for less than a decade. I often wonder what Noe thinks of it all — being able to seemingly conjure up anyone from anywhere in the world. It’s got to play with your sense of distance and scale, particularly for a toddler. I can’t imagine what I would have thought of it all as a little kid. Particularly when you’re very young, there’s something very attractive about the isolation and remoteness of far off places. 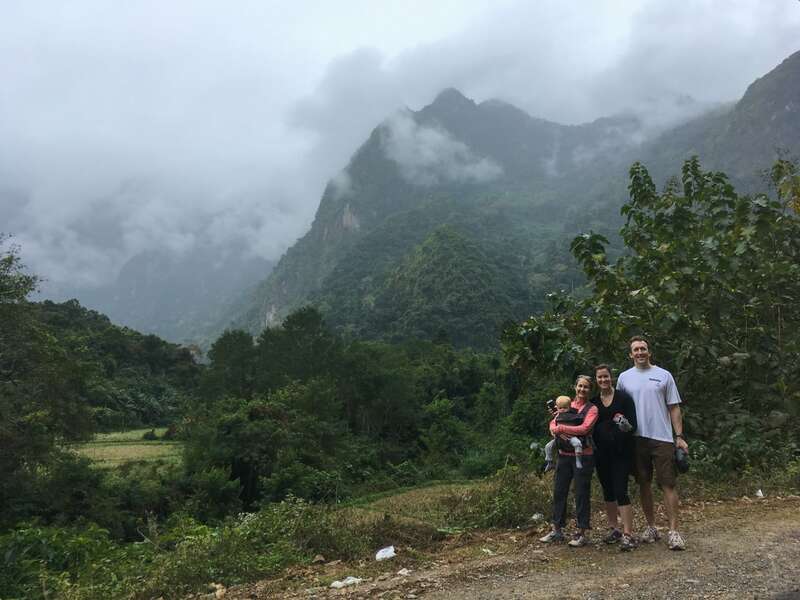 Visiting this very place in the early 1980s would have meant no running water, no electricity, no paved roads, and perhaps most significantly, no practical means of communicating with anyone outside the village. 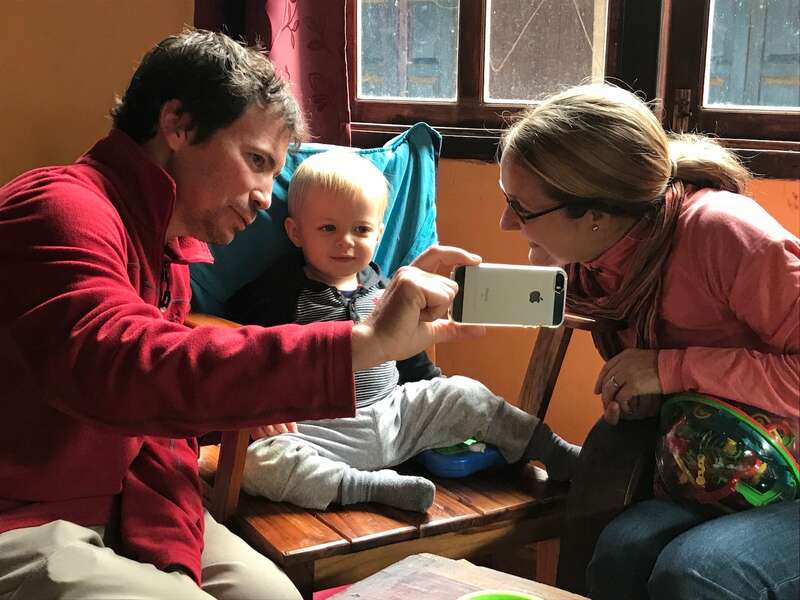 And now, you simply pull something out of your pocket the size of a deck of cards, move your finger across the screen and boom, instantly speaking (AND LOOKING AT) Grandma-ma in her living room in Northern California. When I first saw this pic (above) I wondered what the guy was doing with his phone. 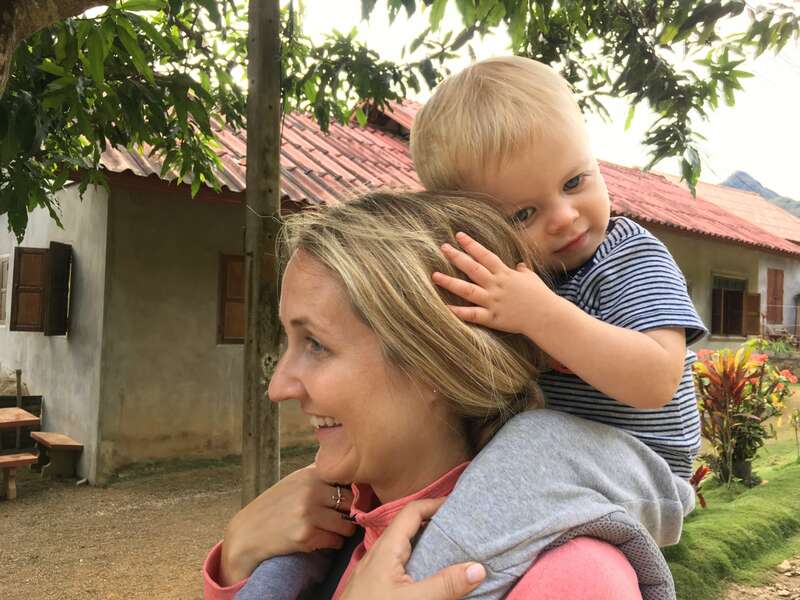 Then, it donned on me — he’s snapping a pic of the little blonde baby being carried around by the crazy falang women on her back. 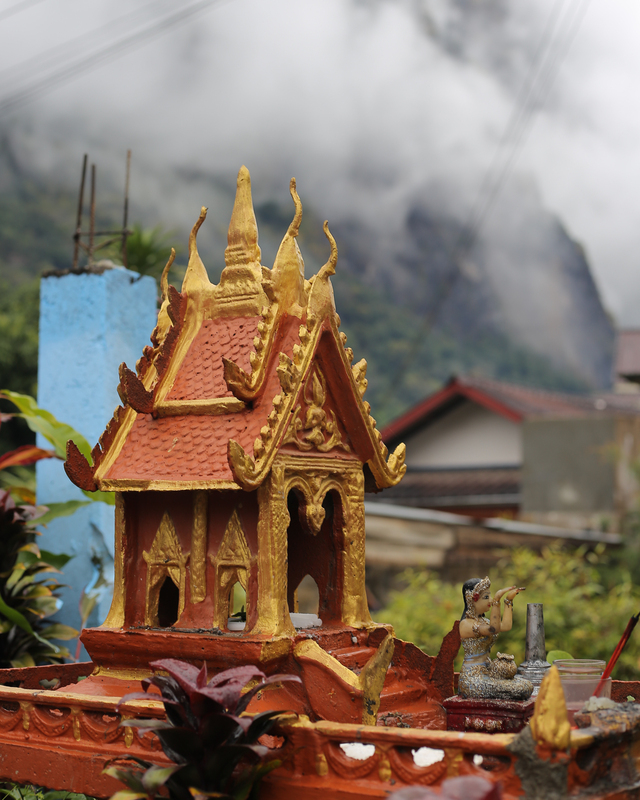 Not such a common sight here in Laos, I guess. 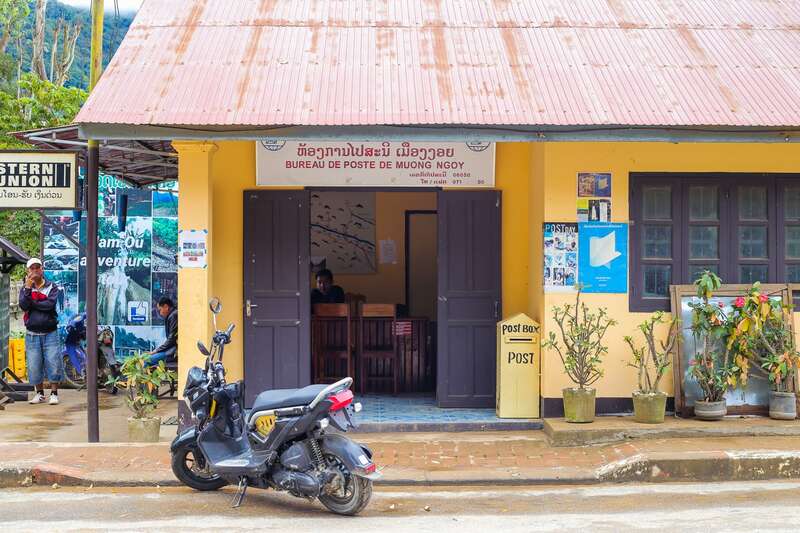 Despite the advances in telecommunication, the district Post Office still seems to make a good business. 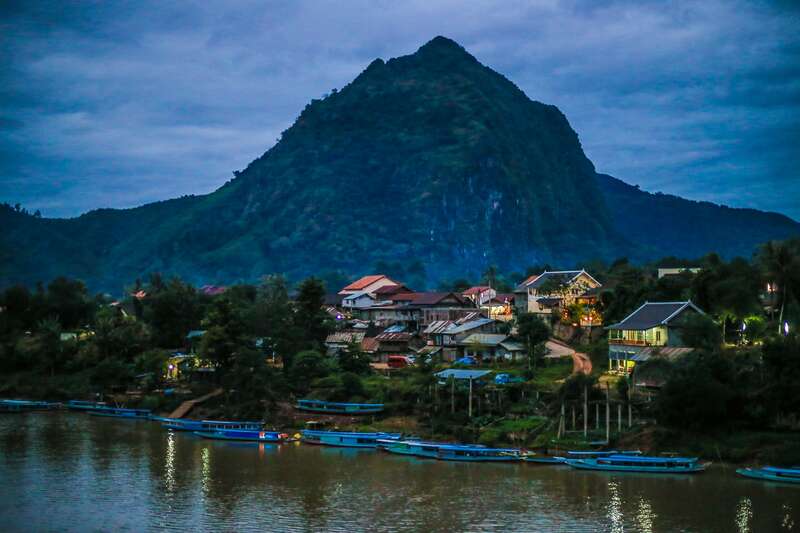 The view, walking back from town towards the backpacker enclave that is Ban Sophoun. The sizable uncompleted hotel on the hill on the left is for sale, if anyone is interested. Heading back to our place. 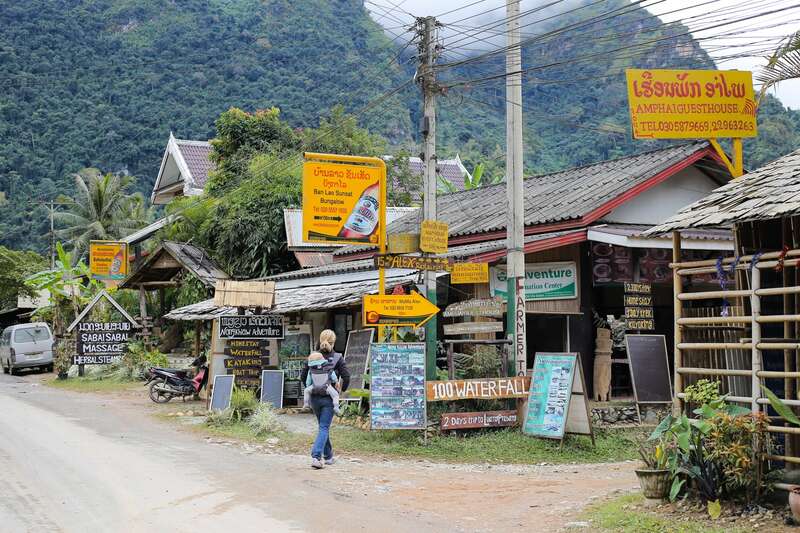 It’s easy to miss the sign for Namhoun Guesthouse. Can you find it? 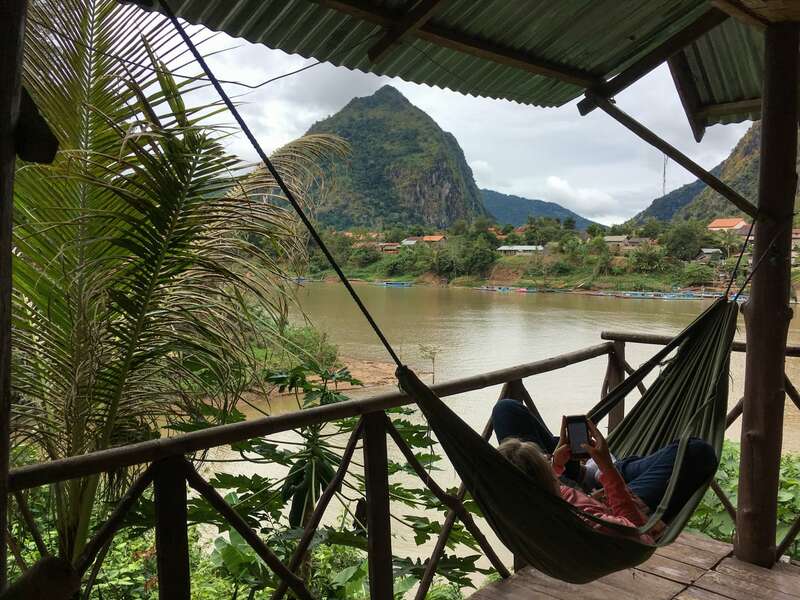 Waiting out the Mister’s morning nap, with the aid of a view and a hammock. 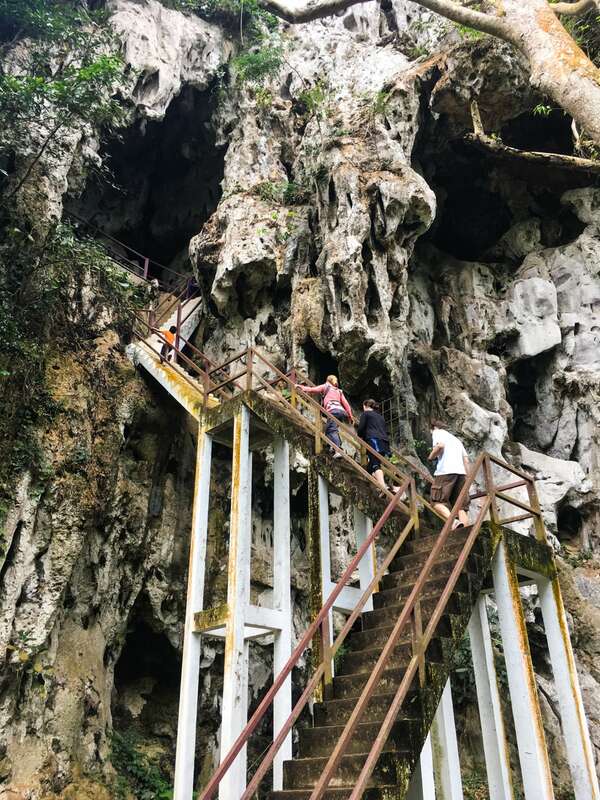 After nap time, we followed the highway south about 2km to a cave complex, just off the road. 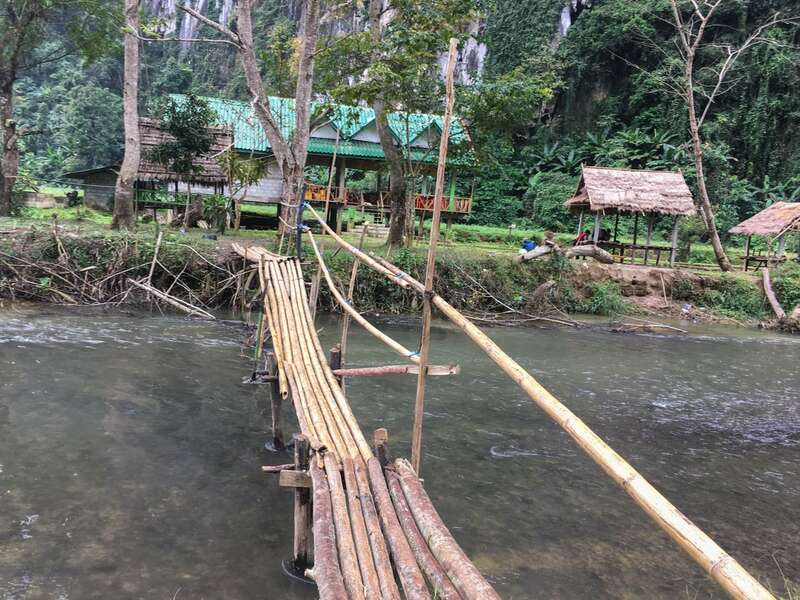 As is often the case in Laos, accessing the cave meant crossing a rushing stream. 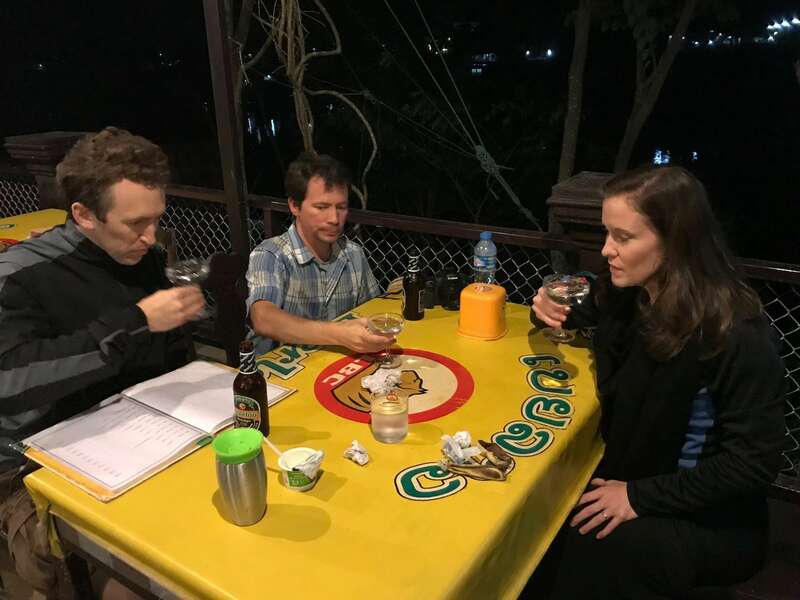 As is also the case in Laos, said crossing (and cave) are accompanied by the requisite bar-restaurant, which we will surely return to on the way back. 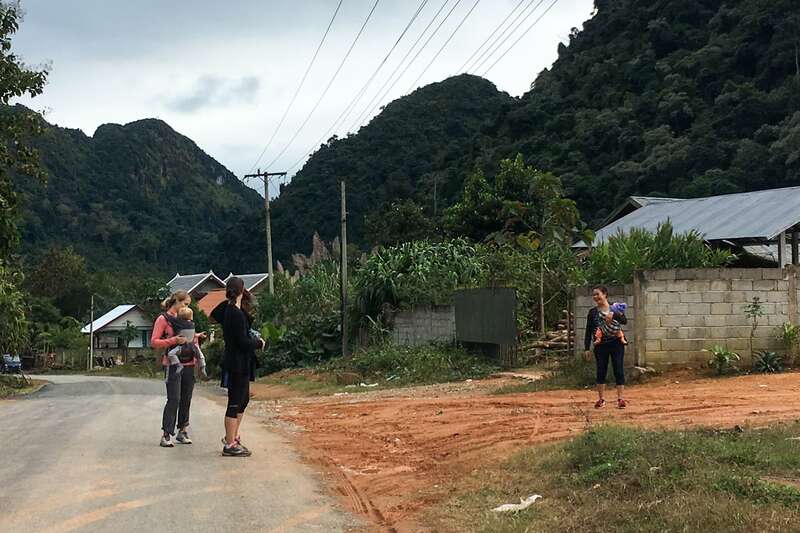 A couple of kids greet us at the mouth of Tham Pha Thok with the task of giving us a quick tour of the place. 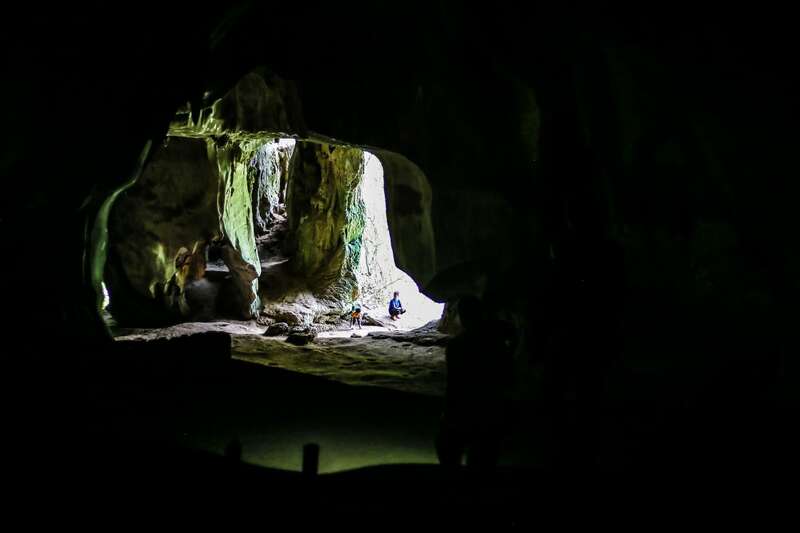 Like so many of the caves in Laos, this cave has a dark past. 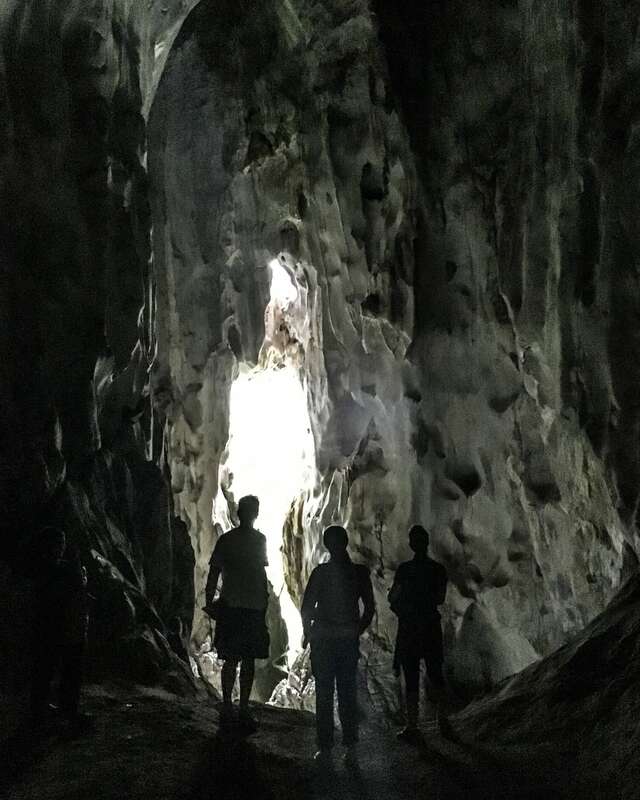 After 5-10 minutes of exploring the rest of the cave, the path dropped abruptly into a deep crater, lit by a narrow opening to the outside world. 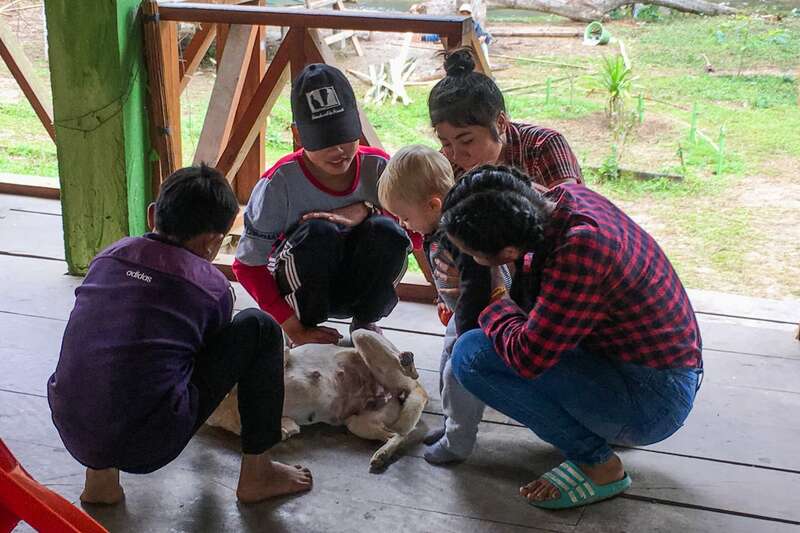 Our young guides informed us that many people of the village sought refuge in the cave during the years-long U.S.-led bombing campaigns, and that this crater was the result of a missile strike on the cave that destroyed the makeshift hospital area, killing many of the cave’s residents. 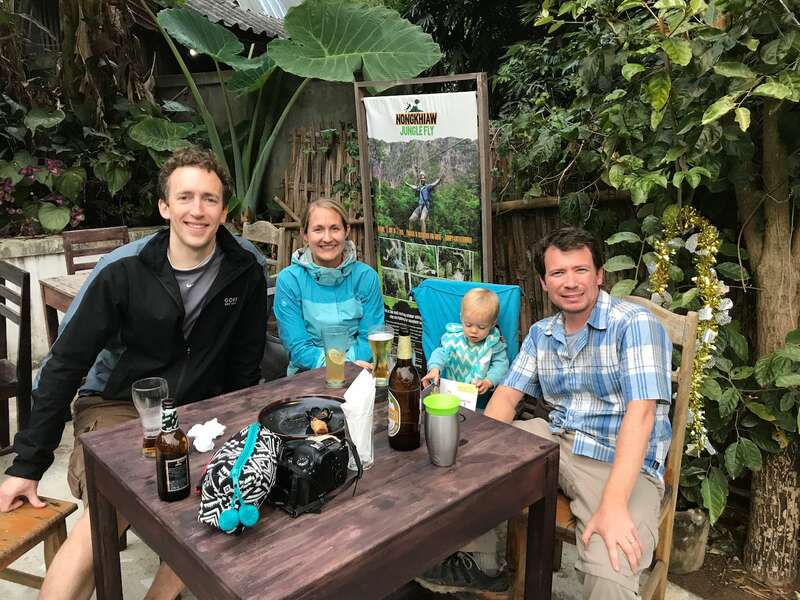 Back at the bar, the proprietor immediately ran off with Noe, taking him around to the family (including the dog), while we enjoyed a few mid-hike beers. Noe demanded his share on the walk back into town. …but we thought we’d try, anyway. LaoLao shots sounded like a great idea with dinner this evening, and would have been — if they had actually been four shots and not four HUGE glasses of LaoLao (and really STRONG, NASTY LaoLao at that). 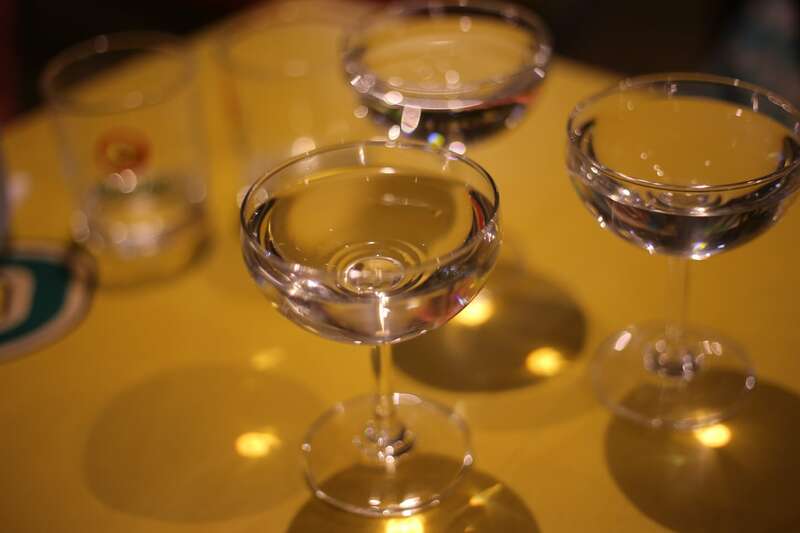 Needless to say, a handful of mixers were subsequently ordered and we found ourselves staying at the restaurant for a bit longer than anticipated. 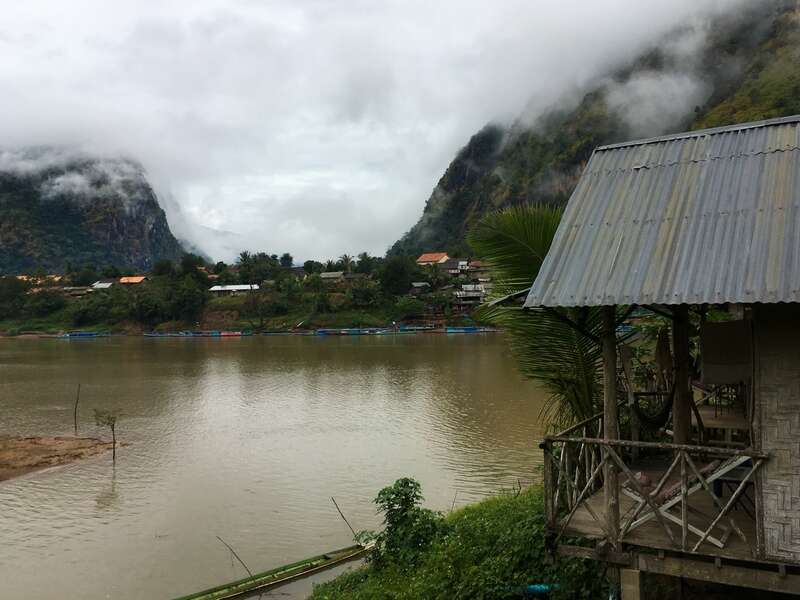 Tomorrow, we head up river to the even more remote village of Muang Ngoi Neua! Thanks for keeping up! More to come. 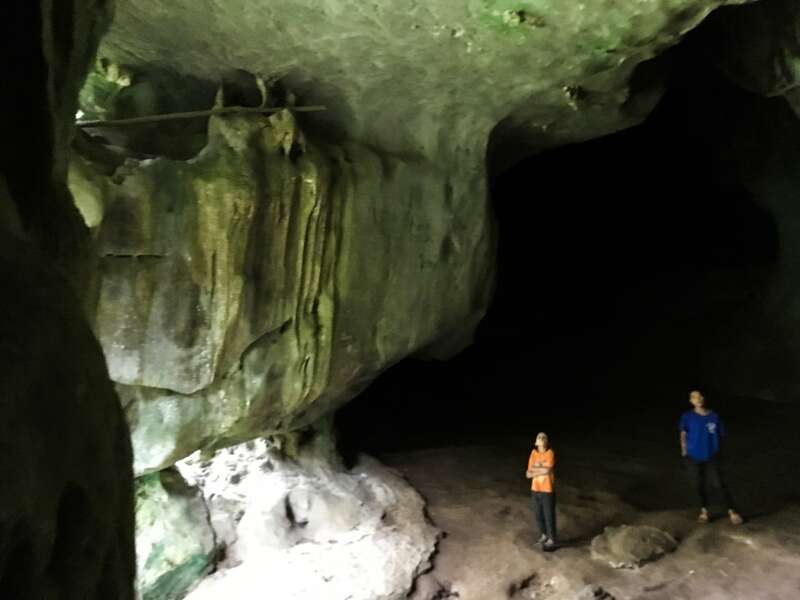 Incredible cave and such a gorgeous little guy! !